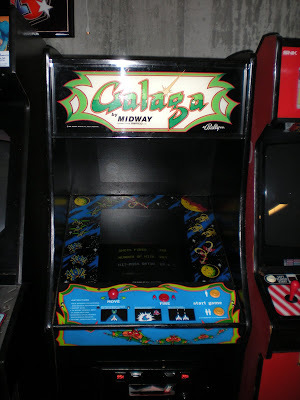 My Craig's List was able to raise the money for a new monitor for my Galaga. I got it in the mail today and now it is in and up and running! 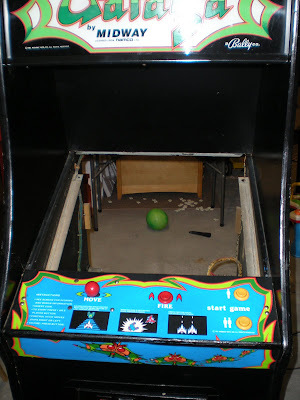 All that is left now is to get my Marvel Vs Capcom up and running. 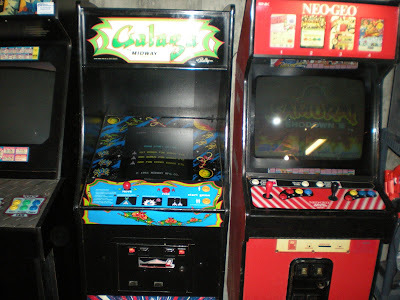 Nice side by side shot with the Neo Geo. 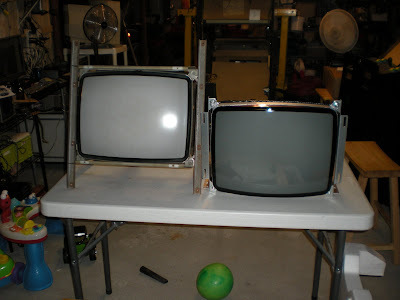 Here is the old and new monitor side by side, note how the new one is much blacker. 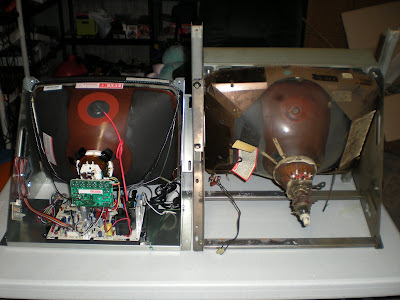 Rear view of monitors. 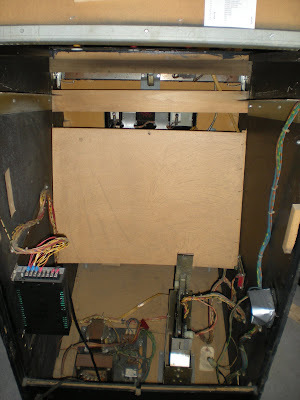 I hard already removed the driver board from the old monitor, I might still try and fix it. Here is the cabinet empty waiting for the new monitor.